We know how important gut health is. When our gut is good, so is our health. Eating grass fed yogurt, sourdough bread, and fermented food are some ways to increase our probiotic intake. For a person like me who did not grow up eating fermented food or even yogurt, it is harder to keep up with probiotic consumption. The latest one I tried was water kefir and milk kefir. They are naturally rich in probiotics, easy to make, and very cost friendly. But another problem with water kefir is that it contains a small amount of alcohol, which I'm also not used to consuming (and now that I'm pregnant, I have stopped making and drinking it) and milk kefir is more sour than plain yogurt, which makes it even harder for me to swallow than a regular grass fed yogurt that I'm already not used to. So what am I trying to say? I am not good in consuming probiotic rich food and I have just been reminded that gut health is crucial for a healthy body. So I need to consume more probiotics in my diet. If I do not enjoy eating yogurt or don't eat as much fermented food as I should, I have to find something else that works. I figure it's better to pay for something that I will actually eat and want to eat, because our health is important and prevention is always better than cure. Allergies, morning sickness, colds and flu, constipation, and even bad breath are symptoms that you are lacking good bacteria in your body. Then I found olive leaf extract. The brand that I have tried is by Rochway. Their olive leaf extract is naturally fermented, 100% organic and contains 1% sugar from natural fruits. Fermentation allows beneficial enzymes to be produced and it helps our body to absorb nutrients more efficiently from our food. And the fermentation process creates lactic acids which act as a natural preservative. So this is a good probiotic alternative for me personally. It tastes mildly sweet, my two year old doesn't have trouble drinking it. Serving size for daily maintenance is small and it is very easy to take. If you feel that you lack probiotics in your diet, maybe it is worth a try. iHerb sells different brands of olive leaf extracts but I haven't researched the brands they carry. I bought mine from Bud of Joy (This particular formulation includes papaya enzymes and pomegranates - read about the benefits of fermented papaya and pomegranates here). Although the benefits of this plant seems promising, its medical evidence on humans are still inconclusive and researchers are now taking another serious look at olive leaf extract. Until then, we need to remember that just like with any other health supplements, olive leaf extract should be a part of a holistic health plan that includes a healthy diet and exercise. Disclaimer: I'm not an affiliate of Rochway and did not receive anything to promote their products. I'm also not a health professional and may not be held responsible for any medical issues. Please consult your doctors if you are unsure about taking this supplement. Have You Heard of Baobab Oil? Baobab oil is made from baobab seeds that are found in large capsule-like fruit which grow on baobab trees. Baobab trees grow throughout the savannas of Africa. When the fruits mature, they naturally drop off of the trees. The seeds are removed by cracking open the fruits, washed, and then sun dried. These seeds then go through an expeller and oil is cold pressed out of the seeds. - Vitamins A, D, E, F: Promotes healthy skin and skin revitalization. - Omega 3, 6, and 9 fatty acids: Rich moisturizers that nourish damaged skin, protect the skin, and encorage cell renewal and regeneration. - Antioxidants: Protection against free radicals. I have been using baobab oil to heal acne scars these few weeks and I can tell that the scars are lighter as baobab oil is easily absorbed in the skin and doesn't clog pores. This is an excellent oil to calm inflammation and provides relief from itch, rashes, eczema, and sunburn. You can also use it to nourish dry and flaky scalp. Different oils have different vitamin content and moisturizing/healing effect. Between jojoba oil, coconut oil, and baobab oil - the three oils that I have read about more extensively and used longer, I find that baobab oil is the most moisturizing of all three. It doesn't have any odor like coconut and a few drops are all that we need to moisturize a large area of our skin and hair. On the other hand, jojoba oil is a more neutral oil that is suitable for oily skin as it prevents the skin from overcompensating with more oil production and coconut oil has an added antimicrobial properties that helps to heal wounds. Give it a try. I personally think baobab oil is more superior compared jojoba oil or coconut oil for its moisturizing and relieving of itch and rashes, but different oils may work differently on everybody. Use it as you would a regular moisturizer. 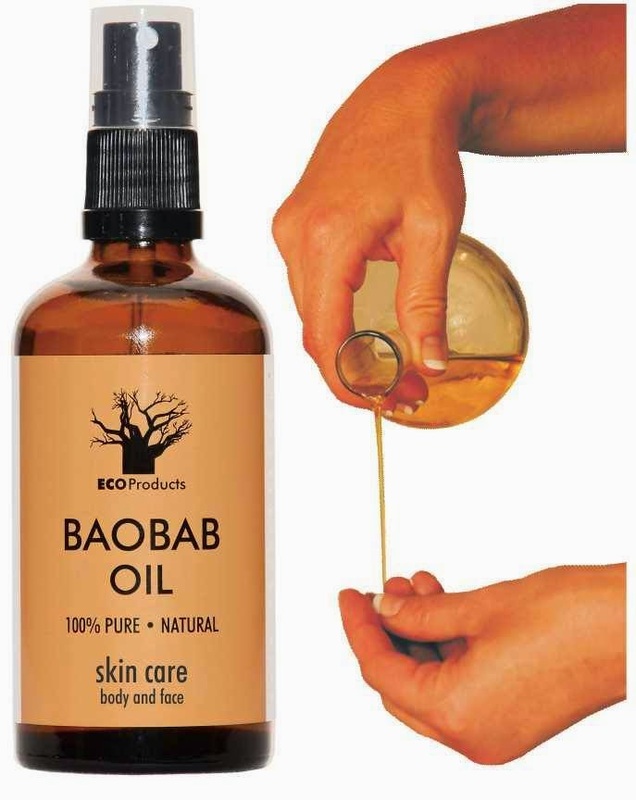 You can purchase EcoProducts Baobab Oils from Pura Vida. I love how Kristi, the owner of Pura Vida Singapore, works with small business owners that are passionate about natural living, environmental sustainability, and those that create work employment for the people who live in underdeveloped parts of the world. One of them would be Sarah Venter, a scientist and the founder of EcoProducts. From early on, she makes sure that the harvest of baobab fruits is sustainable. In doing this, she also creates employment for many women in the underdeveloped parts of southern Africa and Venda. Read more about her and EcoProducts here. I love that her baobab oil is natural, eco-friendly, nutrient-rich, and creates economic benefits. - I specifically love Alteya's Organic Rosewater Spray. It is 100% pure, steam distilled rose water that is made from organic roses from Bulgaria. This is an all-in-one cleanser, toner, and moisturizer that balances our skin's pH, rejuvenates, and beautifies the skin. Like EcoProducts, Alteya has been able to provide employment to some of the poorest villages in Bulgaria and we help to support these families when we purchase their products. - I also enjoyed Oh-Lief's trial pack containing salves for pregnant moms and babies. Oh-Lief makes an all-natural salves for stretching tummies, nappy rashes, insect bites, and more. These little tubes are so convenient to bring in our handbags! 3. Comment on this post on why you'd like to try baobab oil and leave your email address. If you are uncomfortable leaving your email publicly, send me a message through Pasture Living Facebook page. 4. Share this giveaway on your Facebook page. This giveaway will end on 25 November 2014 Singapore time and the winners will be announced through email. Open to Singapore residents only. You can also use code "pasture15" for a 15% discount for any purchases you make on Pure Vida's website (a minimum of $30 purchase). Disclaimer: Pura Vida sponsored the above products for reviews, no compensation was received and all opinions are my own.